The tip line will be managed by the DEA San Diego Division. In addition to the tip line, the public can email tips to CHAPOTIPS@USDOJ.GOV. 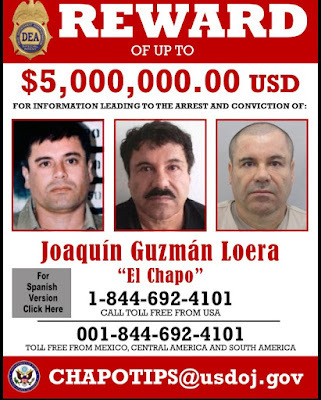 In concert with the launch of the tip line, DEA has also released a wanted poster that contains the number, email address, and the U.S. State Department reward of up to $5 million for the arrest and conviction of Chapo. The poster can be found at DEA.gov. Guzman-Loera was arrested on June 9, 1993, in Mexico on charges related to murder and drug trafficking and was sentenced to a 20 year prison term. However, on January 19, 2001, Guzman-Loera escaped from the federal maximum security prison in Jalisco, Mexico. 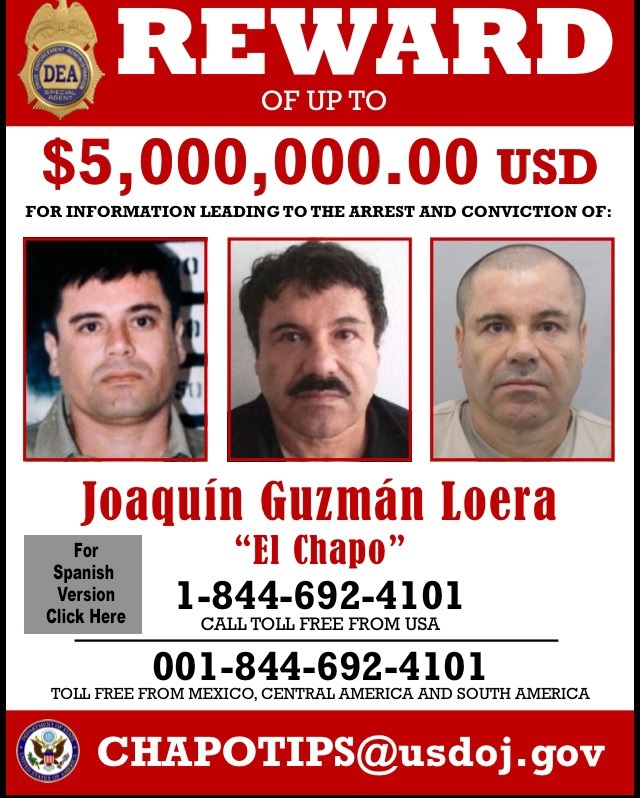 While on the run from Mexican authorities, Guzman-Loera re-established himself as the top ranking member of the Sinaloa Cartel and leader of the Mexican drug trade, becoming the world’s #1 fugitive and a Forbes-listed billionaire. He was rearrested on February 22, 2014, in a modest resort hotel in Mazatlan, Sinaloa, Mexico. On July 11, 2015, he again escaped from Altiplano federal maximum security prison in the State of Mexico.